Atoms, once thought to be the smallest building blocks of nature, are in fact made of smaller particles. Most often these particles are in balance, and as such the atom is stable and lasts nearly forever. Some atoms are out of balance. This can make them radioactive. Atoms are made of tiny particles called protons, neutrons and electrons. Protons and neutrons clump together to form a central nucleus. The electrons move in a cloud-like region around the nucleus. Most atoms are stable. Their protons, neutrons and electrons balance. Barring outside forces, a stable atom will stay the same indefinitely. Every atom is a chemical element, like hydrogen, iron or chlorine. 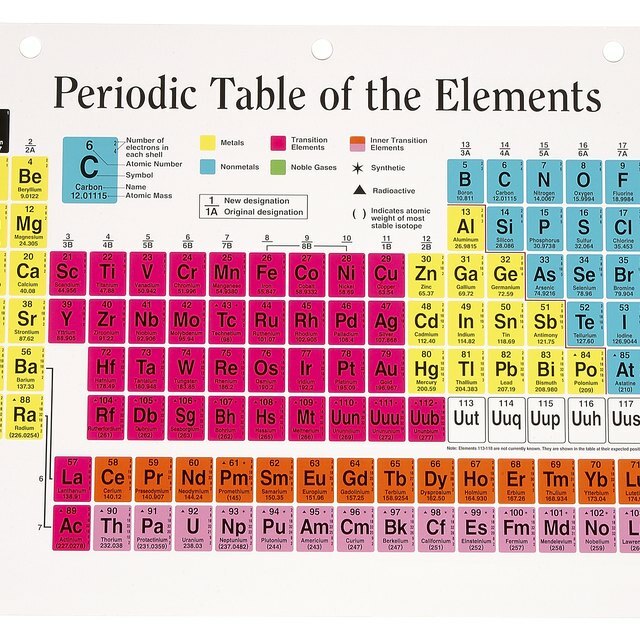 Every element has cousins called isotopes. These have a different number of neutrons, but are otherwise the same. Having excess neutrons may make isotopes radioactive. Some atoms have too many neutrons in the nucleus, which makes them unstable. They’re radioactive, giving off particles until they become stable. Atoms with extra or missing electrons are called ions. They have a positive or negative electric charge and are responsible for many chemical reactions. Every atomic particle has a twin anti-particle, with an opposite electric charge. Antimatter hydrogen atoms have been formed in the laboratory, containing an anti-proton and anti-electron. Antimatter is very rare and fragile. Papiewski, John. "Different Kinds of Atoms." Sciencing, https://sciencing.com/different-kinds-atoms-5611676.html. 13 March 2018. What is a Monatomic Ion?